It’s easy for everyone to claim their superiority over others, but where is the proof? In a market filled with endless options one needs to be able to differentiate and provide concrete evidence that what is promised is true. We have taken it upon ourselves to continuously participate in the industry’s most prestigious and uncorrupted tasting competitions in order to show the world we are not just talk. 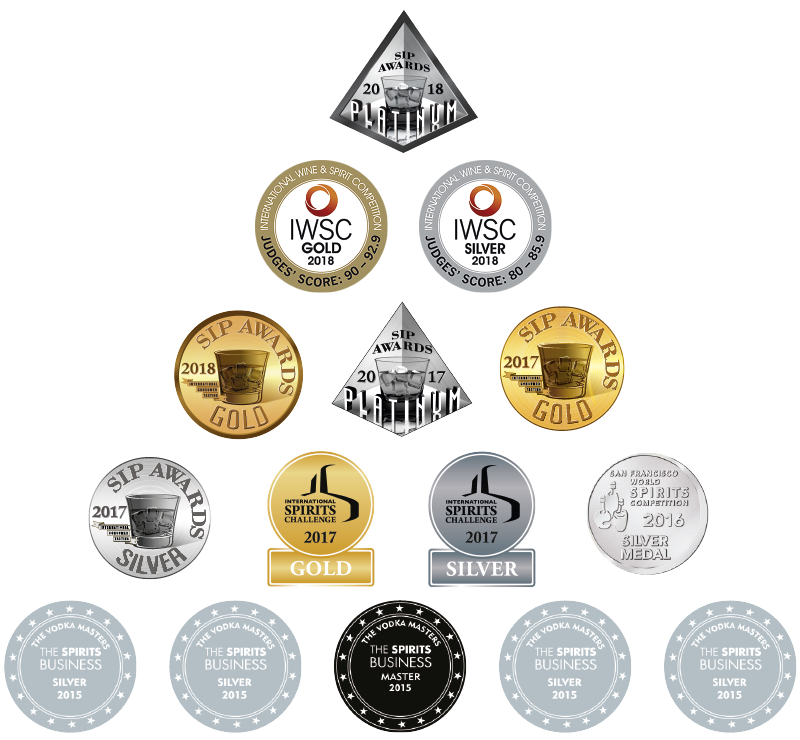 In our first ever competition in 2015 Laplandia Vodka was awarded the highest possible award, the Master Award, in the highest possible category, the Super Premium category, which was conducted by the globally respected ‘The Spirits Business’ magazine. We have later earned multiple additional awards such as Platinum for Laplandia Eclipse and Gold medals for Espresso and Lingonberry. Being the most awarded brand in Finland, we are proud to introduce the entire collection below.